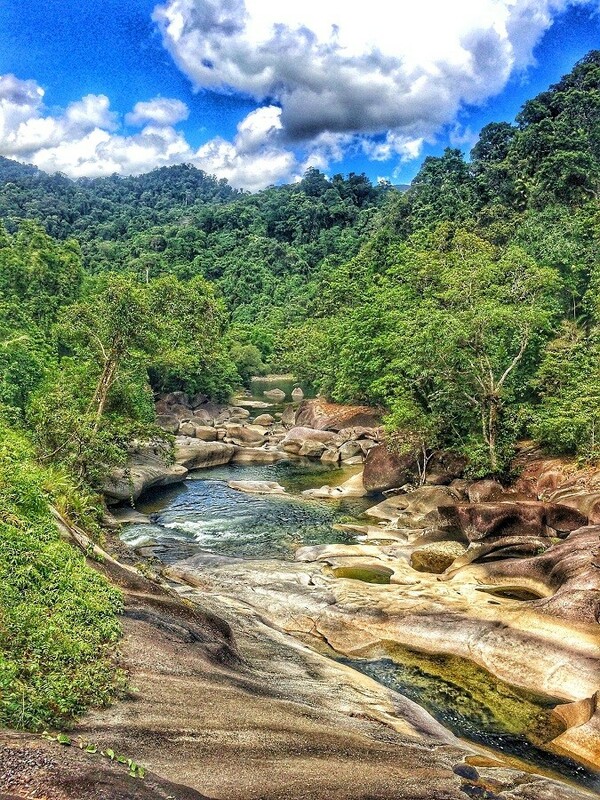 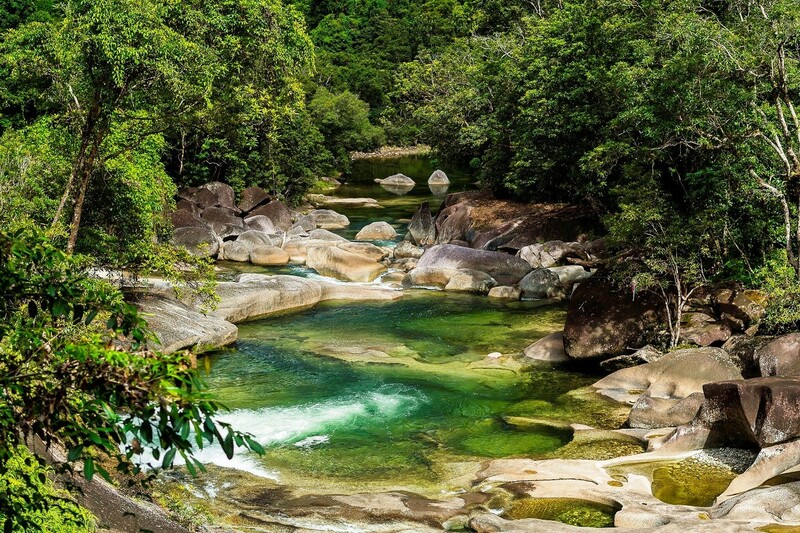 Join us on our 1 Day Waterfalls and Rainforest Wildlife Tour for a day of action-packed exploration of adventurous rainforests, volcanic crater lakes and swimming at striking waterfalls of the exotic tropical tablelands. 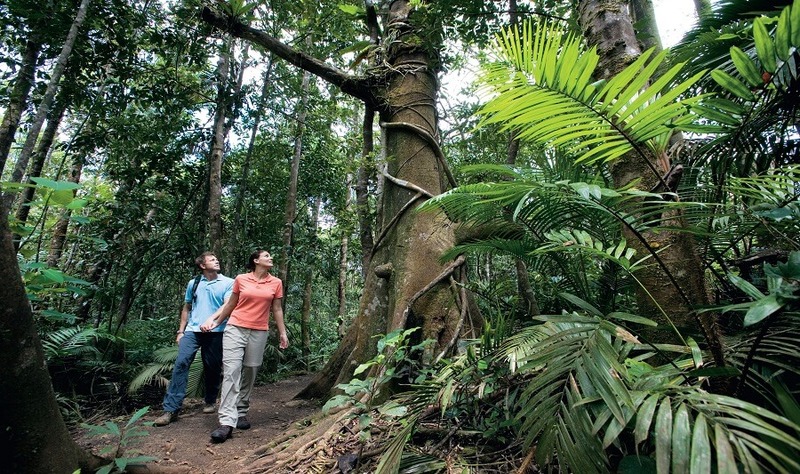 Keep your eyes open for some Australian native wildlife, which can be spotted throughout the duration of your day. 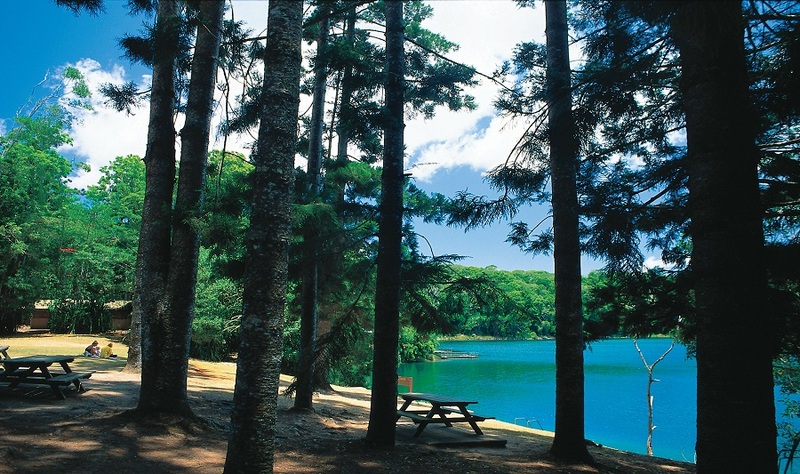 Your fully guided day tour begins with a charming drive up the Gillies Range. 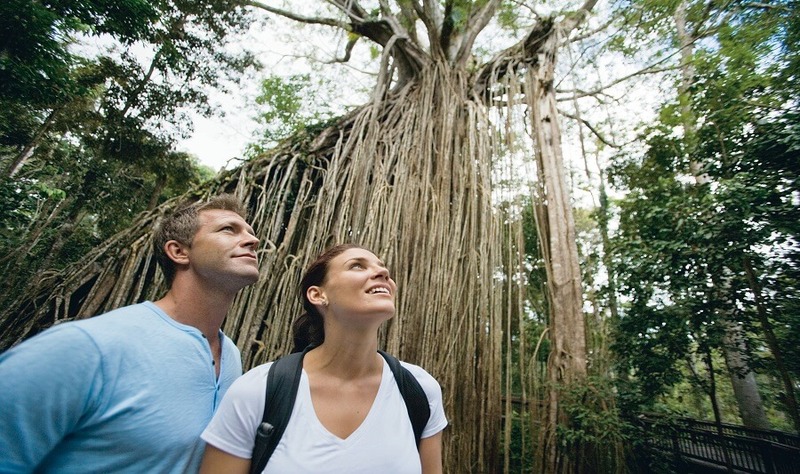 On the way, you will stop at various rainforest walks including the Cathedral Fig Tree and the volcanic crater lake, Lake Barrine, to spot native Australian wildlife. 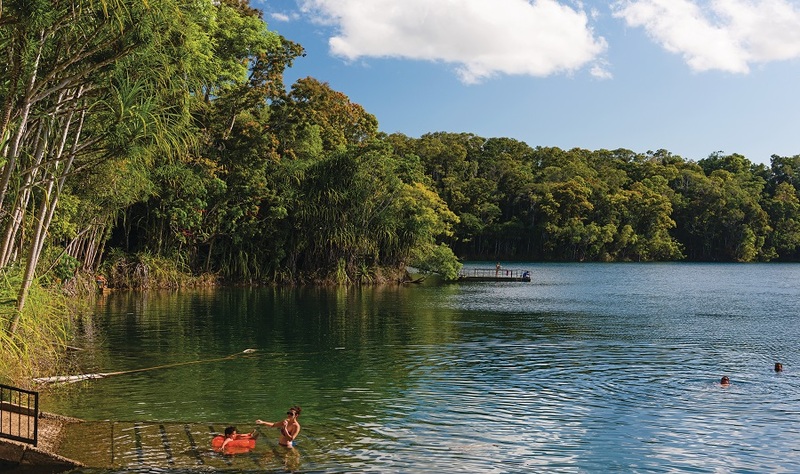 Lunch is followed by a peaceful swim at Lake Eacham. 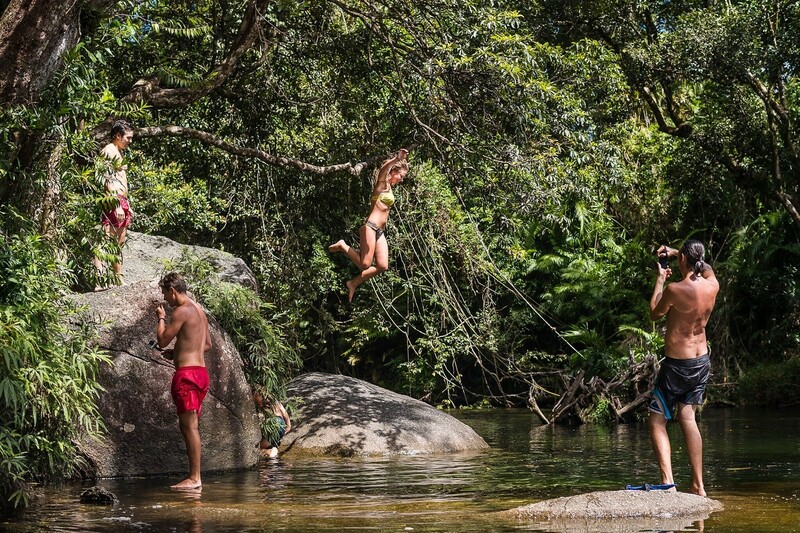 Once you are refreshed after lunch, the rest of the afternoon is spent swimming at several of Cairn’s divine waterfalls, such as the well-known Millaa Millaa Falls. 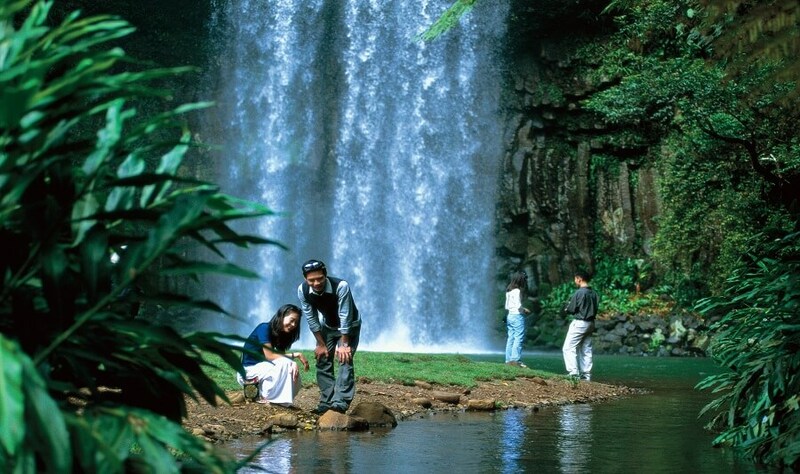 As well as swimming, take the opportunity to enjoy a jungle trek to view the impressive Dinner Falls and the Crater in Mount Hypipamee National Park. 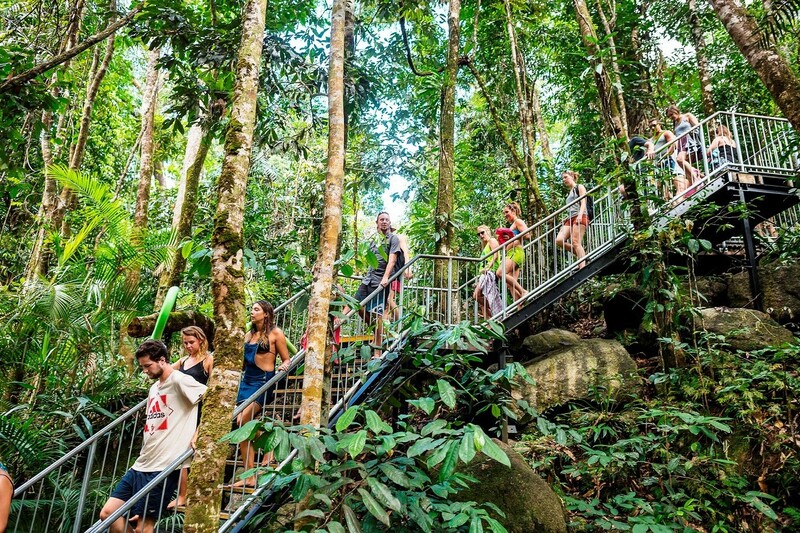 To cap off your day in style, the last stop on our Waterfalls and Rainforest Wildlife Day Tour is at the award-winning On the Wallaby Eco Lodge, where you will have the chance to enjoy tea/coffee and tropical fruit, prior to heading back to Cairns.